I'm running a giveaway on Goodreads for the July 2013 issue of Bards and Sages Quarterly. This awesome collection includes one of my stories (“The Facts in the Case of M. Hussman”) and 13 other original speculative tales by various writers. Don't miss your chance to win a free paperback copy. Giveaway ends August 20, 2013. 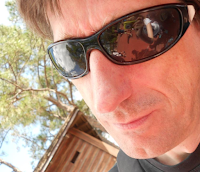 Today's guest post is from Martin Willoughby, author of the novel Tempers Fugit and the collection Published Short Stories. The opening line of Tempers Fugit is vey familiar. I asked Martin about that line and writers that have influenced his work. Inspiration can come from a number of sources and I freely draw on the work of others. Take the opening line of Tempers Fugit: “It was a truth universally acknowledged by twenty-first century humanity, schooled as they were in the theories of Einstein and Hawking, that faster-than-light travel was impossible.” You’ll see the inspiration there is Jane Austen’s Pride and Prejudice, and it’s a line that’s been adapted by so many authors over the years to suit themselves that it’s almost a cliché. Being an author, it pays to be well read, and by that I mean reading across a number of genres and styles, while being familiar with some of the classics. I know I’ll never read everything that’s ever been written, I won’t live long enough for one thing, but I can at least read some of the classics ... assuming, like To The Lighthouse by Virginia Woolf, they don’t send me to sleep. It also pays to be up to date with my genre of humour. Those who’ve read advance copies of Tempers Fugit have said there is a similarity of style with Douglas Adams, a comparison I’m more than happy with as I admire his work greatly. But there are also other influences which are not related to humour. Jim Butcher’s style is very tongue in cheek, similar to the Philip Marlowe books, and one that I’ve learnt a lot from when it comes to action scenes. A surprising influence to some is that of historian John Keegan. His books on warfare are not just good history, but show every aspiring author who reads them how to get a reader involved, by focusing on some of the individual stories that are part of the statistics. He also knows when to break from the narrative to give the reader a chance to assimilate the information. Though there are many more authors I could name, I’ll finish on one person: Spike Milligan. 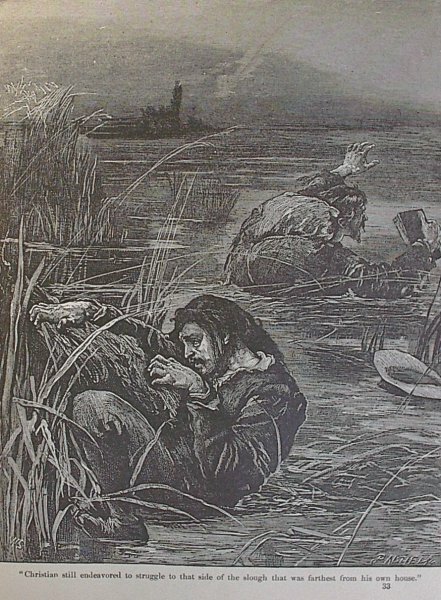 His war diaries are full of humour, but are not without the tragedy that goes with warfare. He relates the comic moments with style and substance, then, like all great comedians, leaves you with a moment of reality that stops you in your tracks. It’s something I hope, one day, to be able to emulate. Martin Willoughby is an author of some repute and a legend in his own lunchtime. When not writing he fixes computers, raises teenage children and acts in an amateur theatre group where he’s always cast as the baddy. He’s won many awards in his lifetime, including an Oscar for best actor which he received from his mother as a Christmas present many years ago. Tempers Fugit is his first book, his second, Apollo The Thirteenth, will be released later this year to even more fanfare and approval. You can stalk him on twitter @Willabywriter or via his blog, From Sand to Glass. 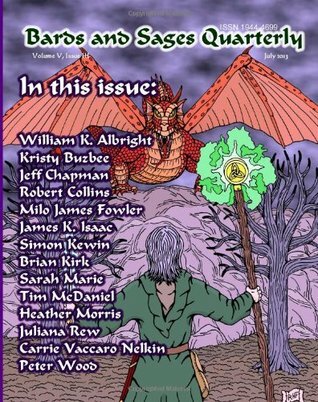 My story "The Facts in the Case of M. Hussman"—a steampunk horror tale about cheating death, or at least trying—is out in the July edition of Bards and Sages Quarterly. I answered some questions about the story here. You can purchase Kindle versions of the magazine on Amazon here. If you want a hard copy, you can purchase it from the printer at https://www.createspace.com/4345013. Use the coupon code BY6VU834 to get a 10% discount. My short fairy tale "Why the Squonk Weeps" made it into Underneath the Juniper Tree's first anthology. It's a collection of the best stories, poems and artwork from Underneath the Juniper Tree's 2011-2012 publications. This is a beautiful collection of stories and poems with creepy, color illustrations throughout the text. UTJT aims for macabre tales for children. You can find out more about it on Facebook at https://www.facebook.com/pages/Underneath-The-Juniper-Tree/205816152785730 or the website at http://underneaththejunipertreemag.com/.